And while they are cleaning, sort thorough drawers and piles that have been accumulating forever because there is obviously no time like the present to deal with the piles? All the while, supervising school and making phenomenal dinners? So, I am writing this post in the midst of house cleaning, and before packing. When you read this post I should be well on my way to SC. Followed by: Charleston vacation or bust! I've thought through my outfits. Which was a feat. Packing my signature business casual look for the conference. Embracing my vacation look the next week. Packing for summer not fall. Temps will be in the 70s both weeks. Sighing sighs of bliss and contentment and anticipation. So, I am packing a dress or two. My brand new dark rinse jeans. Nice shirts. T-shirts. All my running gear. Seriously, if I didn't run, I could pack in a weekend case to go just about anywhere. I have a stack of books thousands of pages deep. Diana Galbadon's newest. Clive Cussler's newest. Rick Riordan's newest. An old book, written way back in the early 1900s-Miss Buncle's Book. It sounded fun. A curious cross between Miss Pettigrew Lives for a Day and Auntie Maime. My nails are painted. Which is almost as compulsive a trip thing as cleaning before vacation. I'm packing some food staples and games. Itineraries and sunscreen and technology. I learned from last year and bought a backpack to carry through the conference. Which will work great for vacation too. Something to hold my wallet and business cards, makeup and iPad. Something not roughly the size of Texas that whacks everyone and their neighbor as I crowd surf. I am looking forward to hanging with old friends and meeting new friends. Laughing, and maybe even crying, as we catch up on where we are at. Late nights and early mornings, fueled by coffee and chocolate. I'm am so excited. 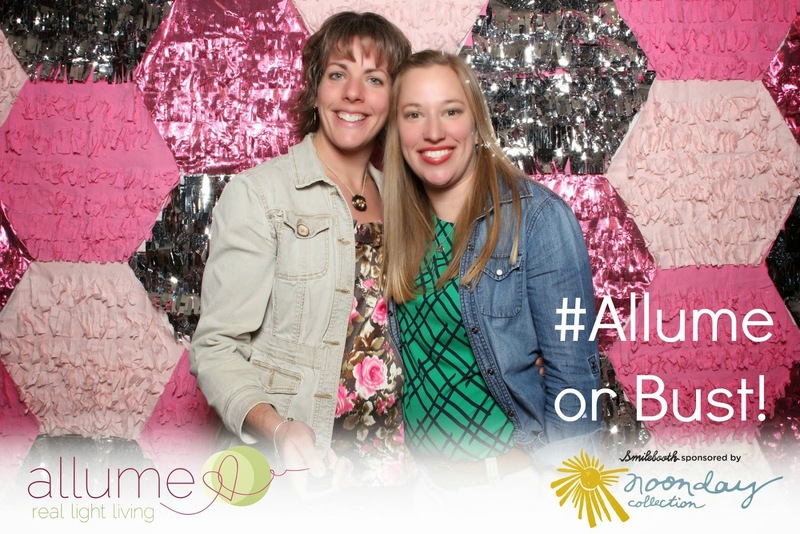 Last year I was a newbie at Allume. I went with excitement and trepidation. I had no idea what the conference was going to be like. What the people were going to be like. I came away full. Life long friendships set their roots last year. She Plans Dinner became a niggling. I learned from godly men and women. It was awesome. I have no idea what this year holds. But I am excited. Oh so excited. I am in a totally different place this year than last year. I look forward to seeing what God has for me at the conference. And then I look forward to time with my family exploring Charleston. I'm not sure how much I will be posting next week, what with being on vacation and all. But, we will see what I come up with.